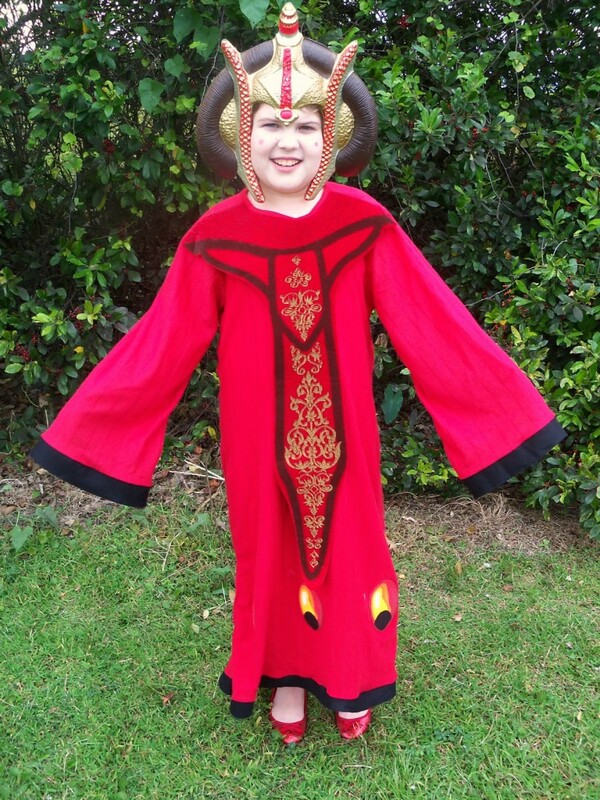 Want to be the courageous leader, Queen Amidala? Drape up in long robes or sleek one-piece garment and put on the three-tiered crown to complete your look. 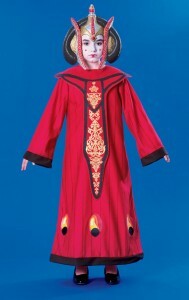 These may be long, full-sleeved robes or white top and pants. 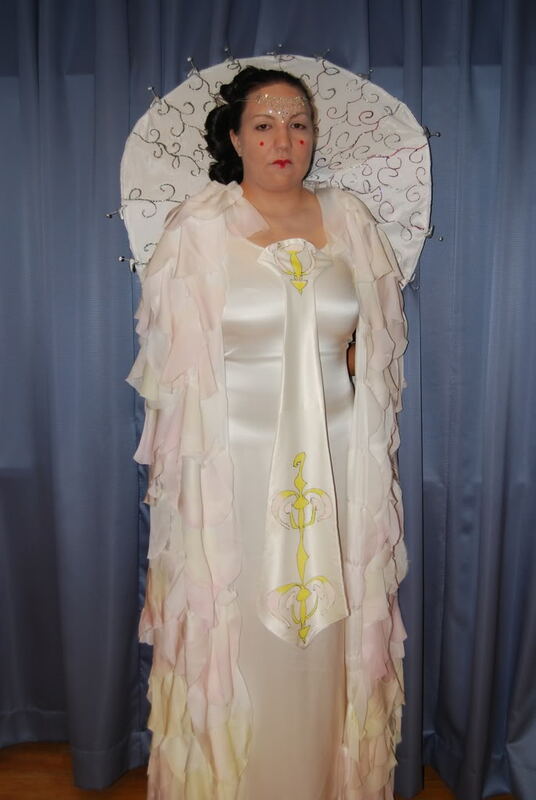 There may be a crown or fan-shaped halo present along with the dress. 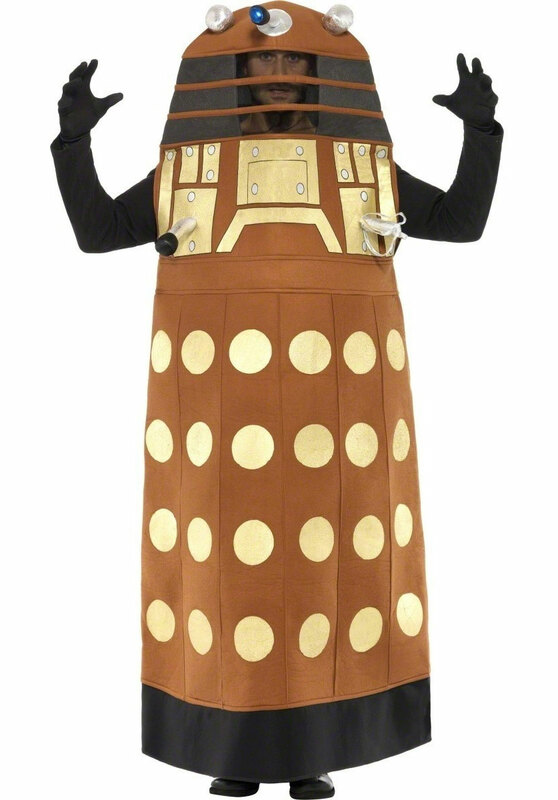 This one in white has mellic upper arm bands and the queen is provided with a gun! 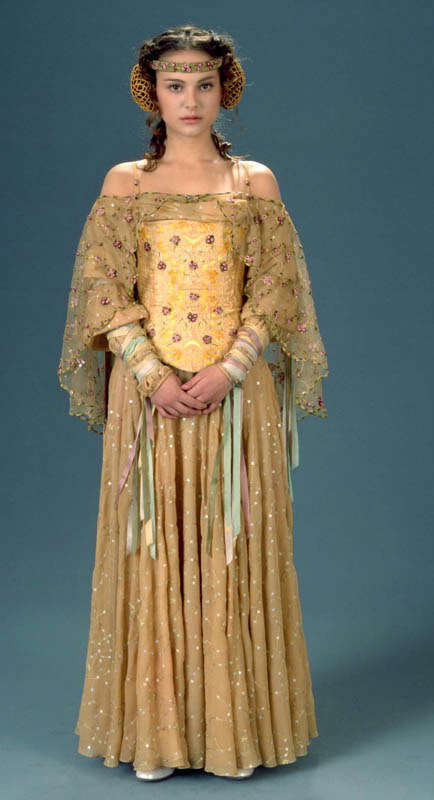 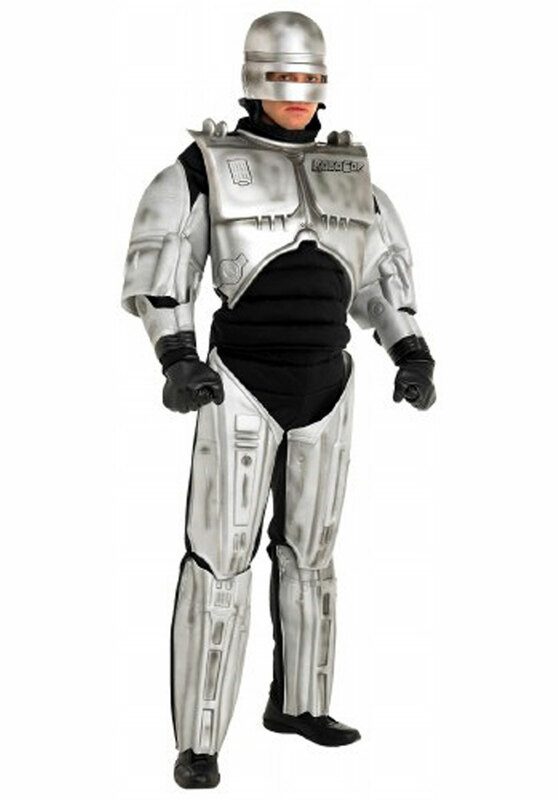 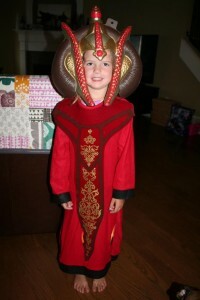 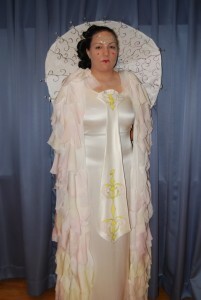 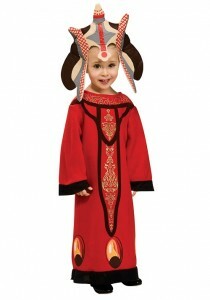 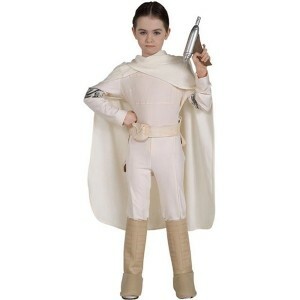 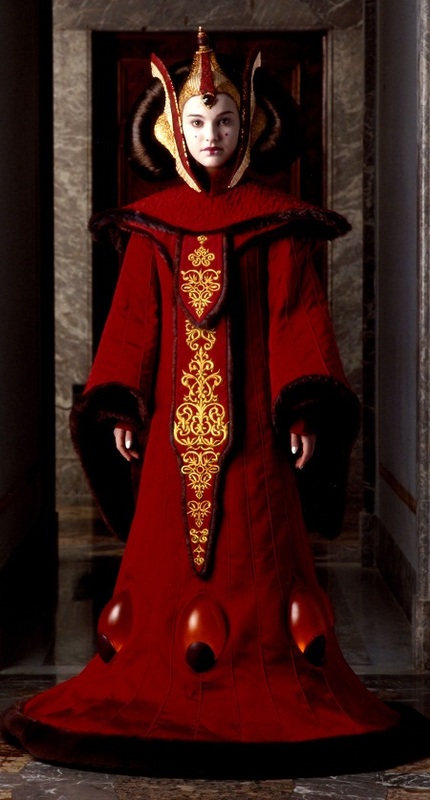 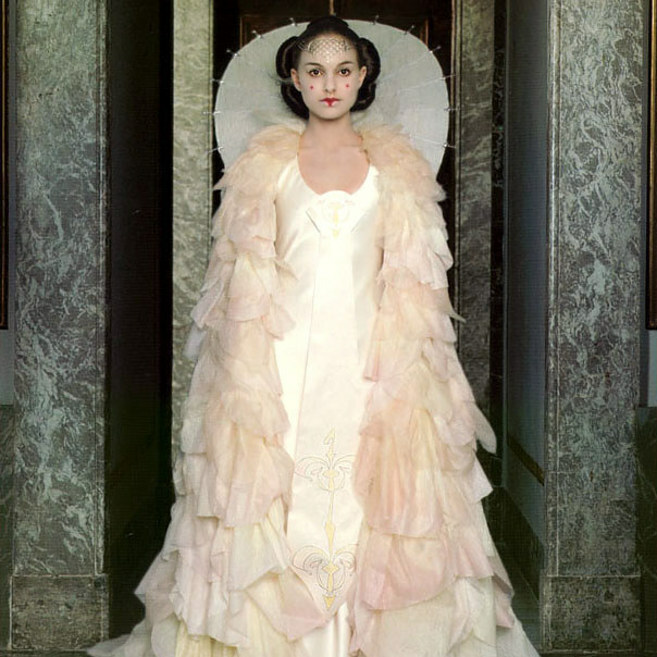 For a little Queen Amidala, the costumes are mostly red in color and fitted with a small three-tiered crown. 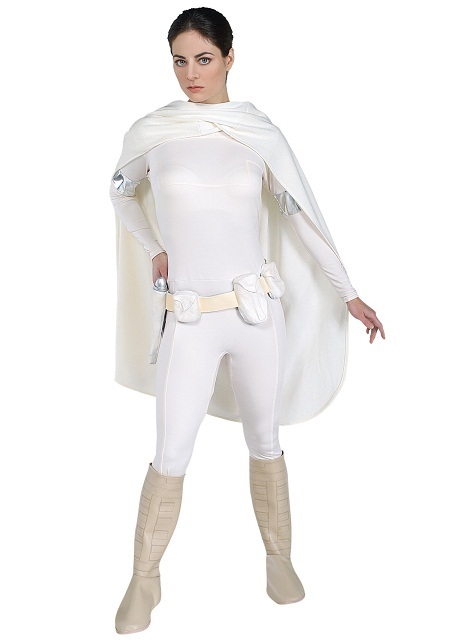 This one in white top and pants witha white cape is impressive.